I always forget my loyalty card when I go to the grocery store, so they always ask me for my phone number, and I always give them the number I had way back in the day in college in California. Someone else has that number now, and her name is Mrs. Skrotch (say it out loud!). So whenever they hand me my receipt, it's always, "Thank you, Mrs. Skrotch!" and I laugh and laugh and laugh because I have the sense of humor of a 4th grade boy. It's become a running joke in our family, and now every time I wear a dress that is a tad too short, I refer to myself as Mrs. Skrotch. I am wearing this with what may be my new favorite shoes. 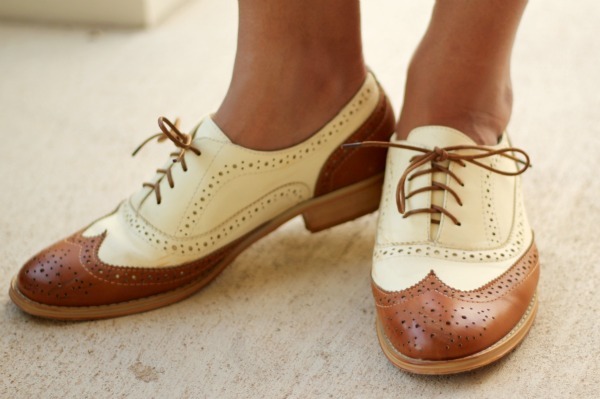 I own a lot of shoes from Wanted, but these Babe Oxfords might be my absolute favorite. The detailing is awesome and I can picture them with everything! Beware. You are going to see these a lot from here on out. I'm certain of it! Turtle power! 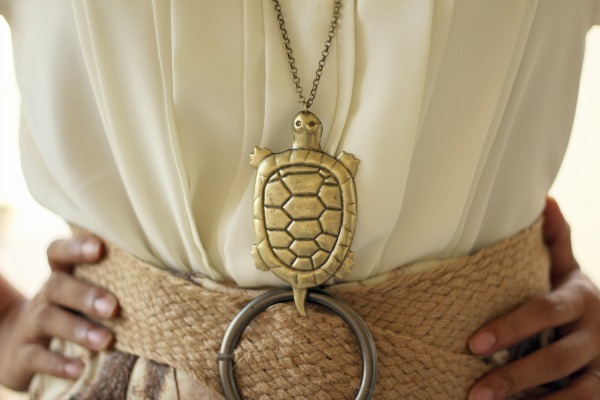 A turtle necklace is better than a turtleneck. The print is so detailed! 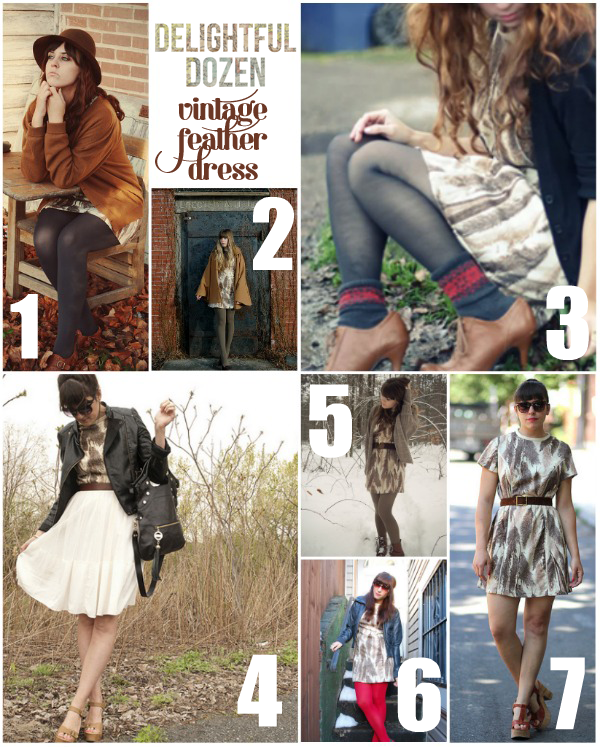 I'll have to do a little video to show you how I rig dresses to be skirts. I don't just tuck my shirt in and belt it; I have a tried and true technique. You tall ladies need to know how to do this, too, so you can borrow your shorter friends' dresses and not be Mrs. Skrotch in them. Tutorial coming soon! This dress leaves Texas tomorrow for Ohio to see Mandi at Here's Looking at Me Kid, next! Can't wait to see how the newest member of the Delightful Dozen styles it. So far, no Mrs. Skrotches in sight!